King Bio is recalling four lots of Aquaflora Candida HP9, Lymph Detox, and Baby Teething liquids. Inspection by the Food and Drug Administration found that the products contain microbial contaminants Pseudomonas Brenneri, Pseudomonas Fluroescens and Burkholderia Multivorans. The company says there have been no reports of injury or illness. 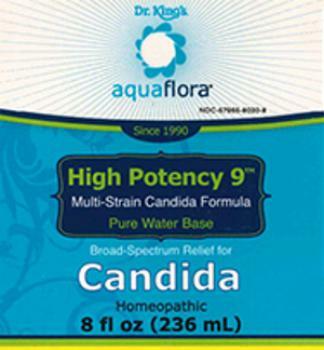 Aquaflora HP9 product is used to control Candida, a fungal disease, while the Lymph Detox is for symptoms associated with lymphatic and Baby Teething liquids treat teething pain, irritated gums, delayed teething, etc. King Bio is notifying its customers by letter and arranging for return and/or replacement. of all recalled products. Consumers who purchased the recalled products should stop using them and contact King Bio prior to returning them. Consumers with questions may contact King Bio at (866) 298-2740 Monday – Friday from 830am – 430pm (EST), or by e-mail at custcare1@kingbio.com.